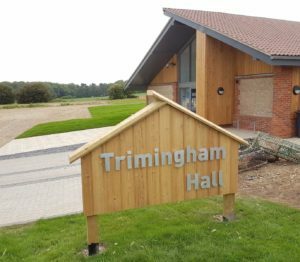 Trimingham’s new village centre, Trimingham Hall, continues to establish itself as an increasingly important meeting place for our area. On the Trimingham Hall page of this website you can see its various stages of construction both in photographs and in the Blue Sky video commissioned by the contractors, as well as finding out how to book the Hall for engagements both private and public. 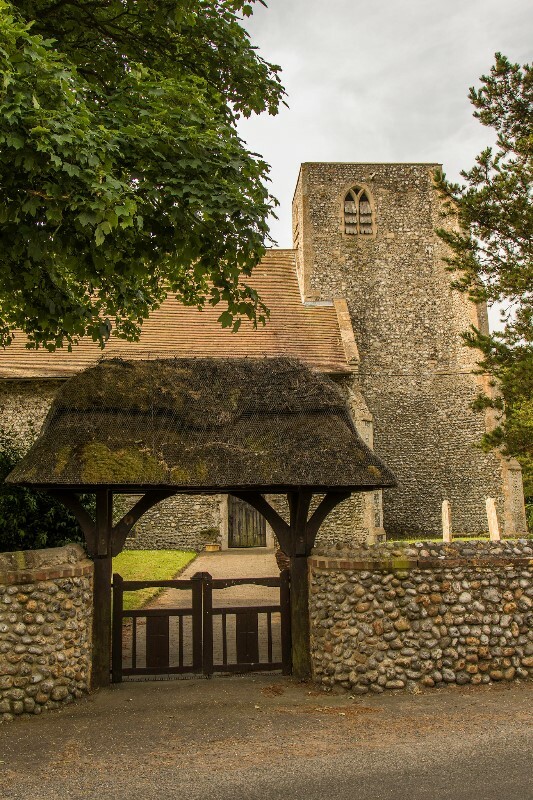 Our existing programme of events at Trimingham Hall, the Pilgrim Shelter and Trimingham Church can be found on the Daily Diary page at the top of the site. Trimingham Parish, North Norfolk – bordered in blue on the map above. The village of Trimingham sits high up on the eastern branch of the Cromer Ridge, strung for nearly a mile along the old coast road. Its centre point is the ancient and curiously named pilgrim church, the church of St John the Baptist’s Head, opposite which stands the tiny village hall, the Pilgrim Shelter, with its back to the North Sea, the backdrop to the whole village. Trimingham is in one sense the sea-view capital of the entire Norfolk coast-line, as its almost uniquely elevated position brings glimpse after glimpse of spectacular vistas across the water. Distant turbines, oil-rigs, a constant traffic of huge sea-going vessels dot the horizon in miniature, framed by the ever-changing colours of the ocean. Overlooked for many years by tourists heading for the more well known salt-marshes of North-West Norfolk, Trimingham’s popularity as a second-home and holiday destination is on the increase. 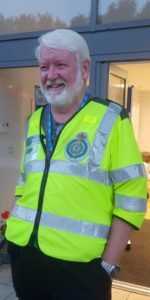 In addition, securing a grant from the Big Lottery has significantly enhanced the community’s fortunes by enabling the village to embark on a major building project: a new state-of-the-art Village Hall is currently taking shape at its western end. 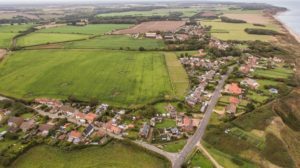 As a community, Trimingham is entering an age of revival, stemming from its deep roots in the maritime past and from the prospect of an exciting future. Acknowledgements We are greatly indebted to the photographer and drone operator Leigh Caudwell for permission to illustrate this site with his pictures. The artist John Bradley has similarly been extremely generous in contributing his extraordinarily detailed pen and ink drawings. We are lucky, too, to have the ornithologist and photographer Mike Lawrence as a major contributor. In addition and above all, we have benefited from the outset from the tireless contribution of our village archivist, Dot Bradley, whose many years of careful collection of Trimingham photographs, memorabilia and the documentation of village life have been placed at our disposal as an evocative backdrop to our website.